Over the past few weeks, you may have noticed the refurbishment work on the wood and chippings bays at the Hertford Avenue entrance has begun. 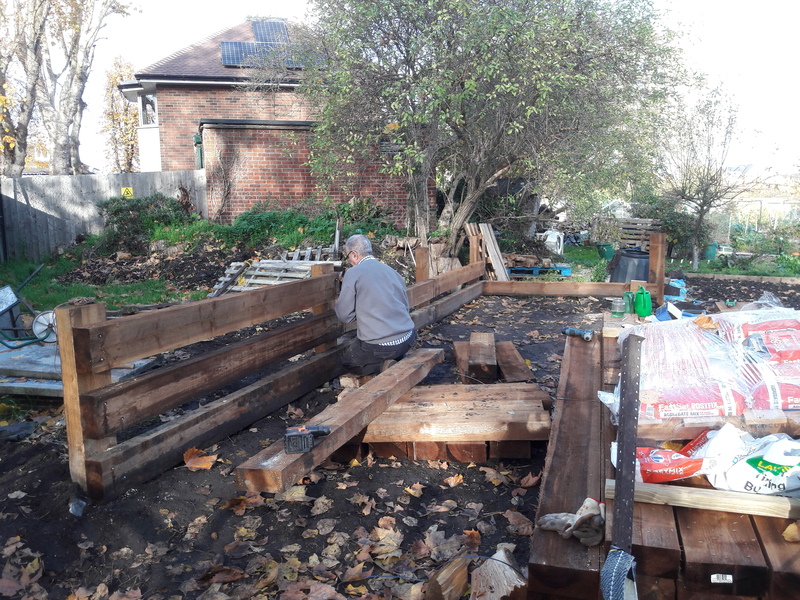 After clearing the site of the original pallet boards which had started to rot and break down, wooden sleepers have been erected to form a new boundary. 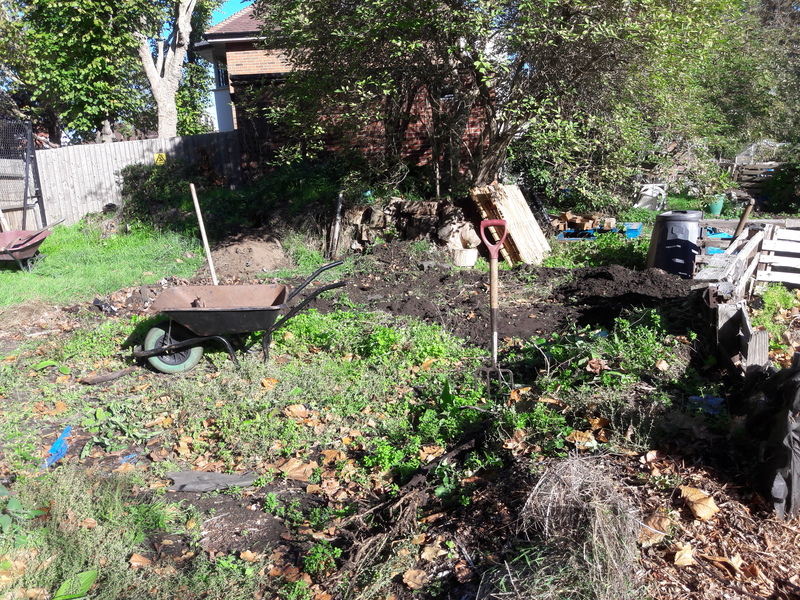 We still need to firm up the ground immediately next to the path, to stop the delivery lorries getting stuck in the mud. Bay 1 (nearest the main gate) has been enlarged and will be re-designated for the logs. 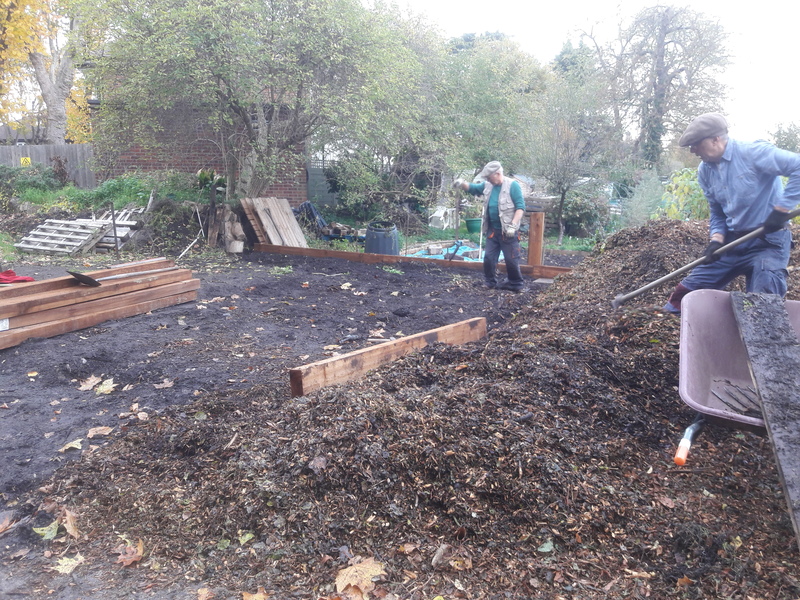 Bay 2 in the middle will remain the wood chip store and the 3rd bay will be for compost from Richmond Park when it’s available. Thanks to John Hynd, Rashid, Desmond and John Padgett for all their hard work so far. If you would like to lend a hand moving the logs from their existing bay, please feel free to pick up one or two logs as you walk past and take them down to the newly created bay.